Raspberry Cheesecake Muffins are a unique, sweet, and delicious way to start any day! 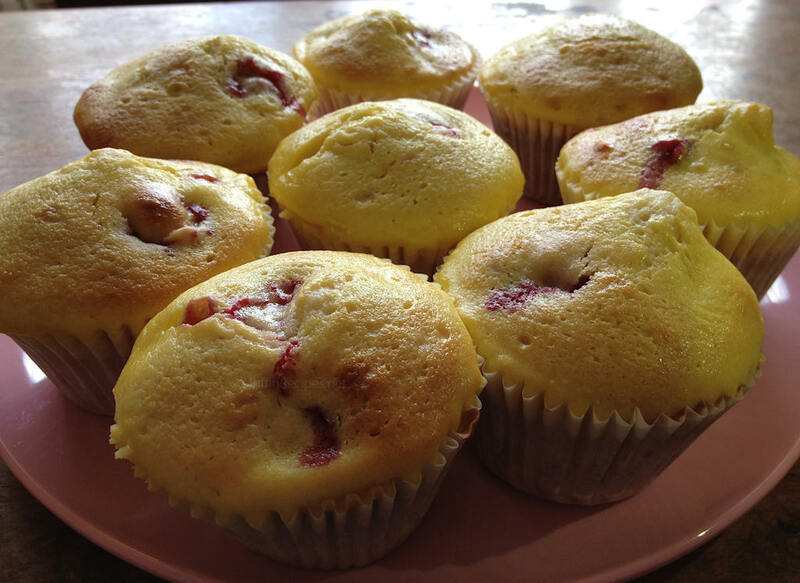 Tender, sweet muffins are baked with fresh raspberries for a fresh, sweet taste, and topped with a creamy cheesecake mixture. The unique, simple flavors make for a sweet, light and delicious treat that can be a delicious snack or even a surprise dessert. Preheat oven to 400°F. Grease muffin tin or alternatively line each with paper cases. 1. In a bowl, beat together the cream cheese with ¼ cup of sugar, 1 egg and ½ teaspoon of vanilla until completely smooth. Set aside. 2. In a saucepan, combine butter, milk and remaining vanilla. Stir continually over medium heat until butter has melted. Set aside until cooled. 3. Beat eggs into butter mixture. 4. In large bowl combine baking powder, flour, salt, and remaining 3/4 c. of sugar. Add butter and milk to mixture, and stir until just combined. Gently fold in raspberries. 5. Fill muffin tins until 2/3 of the way full, and top with 2 Tbsp of cream cheese mixture on top of each muffin. Bake for 20-25 minutes until muffins are springy but firm. 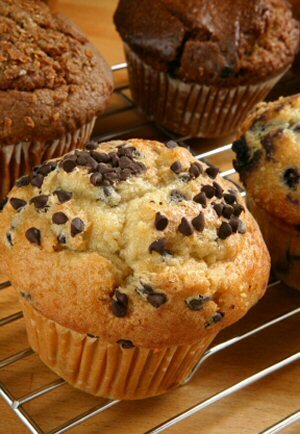 Back to the Muffin Recipes home page. View a free printer-friendly PDF version of this recipe. Email a link to this recipe to a friend. Created your own muffin recipe? Submit it to this site and our food and drink network.